Hey Guys, Welcome to my page! I may be a chimp, but I love monkey jokes! 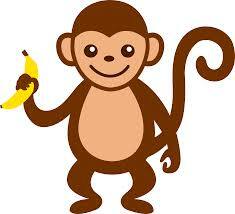 Do you know why monkeys like bananas? Because they have appeal – a peel – of course! Bet you can do better than that! So, send me your monkey jokes – and I’ll put them up on this page! And hey, the best ones may even end up in a future book of the P.A.W.S. series.